May 27th 2013, 23:50 by T.S. PAYING for a taxi ride using your mobile phone is easier in Nairobi than it is in New York, thanks to Kenya’s world-leading mobile-money system, M-PESA. Launched in 2007 by Safaricom, the country’s largest mobile-network operator, it is now used by over 17m Kenyans, equivalent to more than two-thirds of the adult population; around 25% of the country’s gross national product flows through it. M-PESA lets people transfer cash using their phones, and is by far the most successful scheme of its type on earth. Why does Kenya lead the world in mobile money? M-PESA was originally designed as a system to allow microfinance-loan repayments to be made by phone, reducing the costs associated with handling cash and thus making possible lower interest rates. But after pilot testing it was broadened to become a general money-transfer scheme. Once you have signed up, you pay money into the system by handing cash to one of Safaricom’s 40,000 agents (typically in a corner shop selling airtime), who credits the money to your M-PESA account. You withdraw money by visiting another agent, who checks that you have sufficient funds before debiting your account and handing over the cash. You can also transfer money to others using a menu on your phone. Cash can thus be sent one place to another more quickly, safely and easily than taking bundles of in person, or asking others to carry it for you. This is particularly useful in a country where many workers in cities send money back home to their families in rural villages. 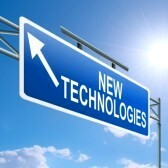 Electronic transfers save people time, freeing them to do other, more productive things instead. 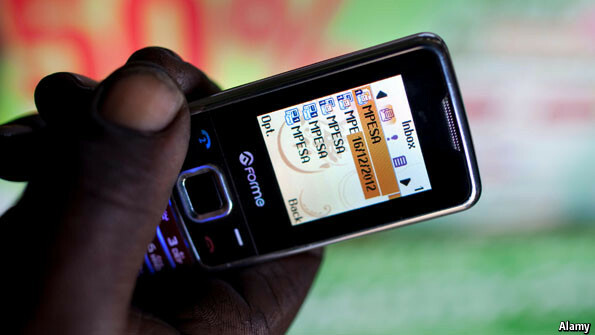 Dozens of mobile-money systems have been launched, so why has Kenya’s been the most successful? It had several factors in its favour, including the exceptionally high cost of sending money by other methods; the dominant market position of Safaricom; the regulator's initial decision to allow the scheme to proceed on an experimental basis, without formal approval; a clear and effective marketing campaign (“Send money home”); an efficient system to move cash around behind the scenes; and, most intriguingly, the post-election violence in the country in early 2008. M-PESA was used to transfer money to people trapped in Nairobi's slums at the time, and some Kenyans regarded M-PESA as a safer place to store their money than the banks, which were entangled in ethnic disputes. Having established a base of initial users, M-PESA then benefitted from network effects: the more people who used it, the more it made sense for others to sign up for it. M-PESA has since been extended to offer loans and savings products, and can also be used to disburse salaries or pay bills, which saves users further time and money (because they do not need to waste hours queuing up at the bank). One study found that in rural Kenyan households that adopted M-PESA, incomes increased by 5-30%. In addition, the availability of a reliable mobile-payments platform has spawned a host of start-ups in Nairobi, whose business models build on M-PESA’s foundations. Mobile-money schemes in other countries, meanwhile, have been held up by opposition from banks and regulators and concerns over money-laundering. But M-PESA is starting to do well in other countries, including Tanzania and Afghanistan, and last month it was launched in India. At the same time, operators in some other countries are doing an increasingly good job of imitating it. Some of the factors behind Kenya's lead cannot be copied; but many of them can, which means it should eventually be possible for other countries to follow Kenya's pioneering example.